I was looking through my photos and came across this old shot. 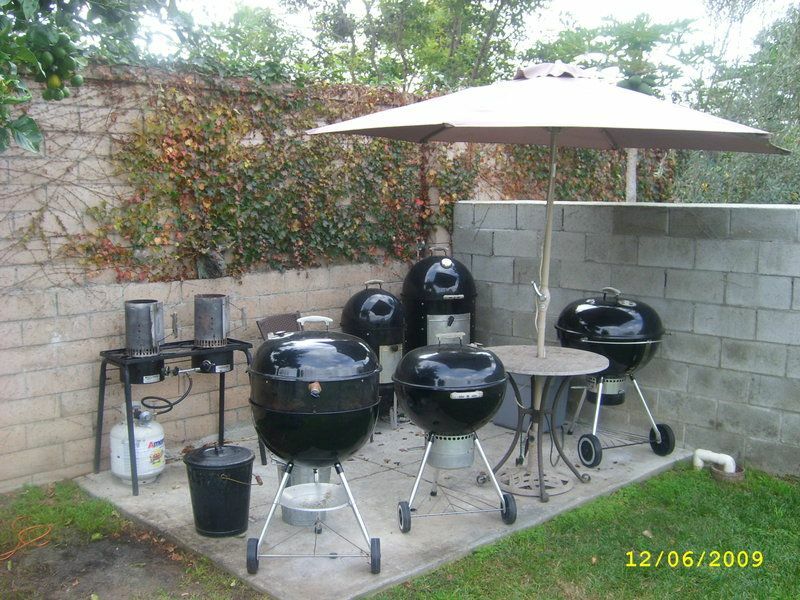 This was the Weber aresonal. Complete with the 27 in kettle that John (Vermin9) now owns. Oh yea, he has the grill/pit bug bad. Nice!!! Do you have any of them left? by the lids on the bullets. dood, try to take care of your stuff a little better. I'm thinkin' that is the reflection of the umbrella in those bullet lids, not dents ..... but Cappy I could be wrong I'm giving him Performer credit for having a 26" with a rotisserie ring, I'm old and I've never even seen one of those live in person. Don't ruin Cappy's funny jokes!